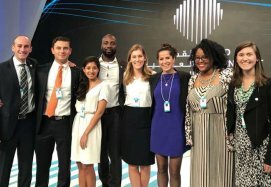 A team of five Tuck students took top honors in the Global Universities Challenge at the World Government Summit in Dubai. Read more or hear from the student team about their experience below. 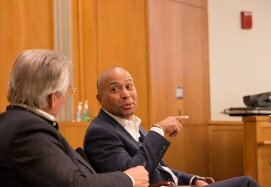 It was a pleasure to have Deval Patrick, former Massachusetts Governor and current managing director of Bain Capital Double Impact, back in Hanover in February! Governor Patrick met with students in Professor Curt Welling’s course on impact investing, and then spoke with the greater Tuck community about his journey from South Side Chicago to the governorship of Massachusetts, his new work with Bain Capital, and where he sees U.S. politics heading in the future. 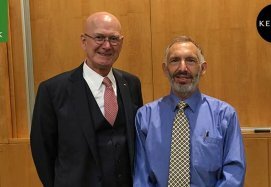 The inaugural event of a new Speaker Series in January on Inequality organized by fellows of Tuck’s Center for Business, Government & Society featured Dean Matthew Slaughter, who engaged with members of the Tuck community in a discussion on globalization and rising inequality. A big thanks to the CBG&S fellows for putting together this exciting new series. In January CBG&S hosted Jake Sullivan, a U.S. foreign policy expert and current Dartmouth College Montgomery Fellow. 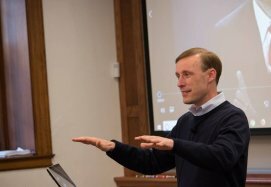 As one of the top foreign policy advisors during the Obama administration, Jake Sullivan was a “go-to” debate prep expert for Barack Obama, Joe Biden, Hillary Clinton, and many others. 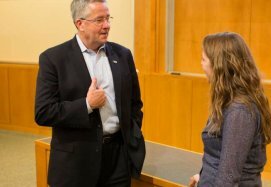 He shared with Tuck students, faculty, and staff his unique insights and lessons learned regarding the art of preparing, presenting and defending a position, gained from years of experience preparing debaters for the biggest stages. 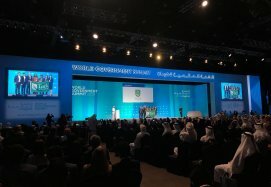 The WGS is a global platform dedicated to shaping the future of governments worldwide. Read more. 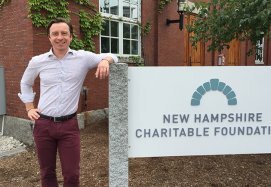 Zoltan Czinkoczky T'18 spent his summer with the New Hampshire Charitable Foundation which awards nearly 40 million dollars in grants and scholarships every year. 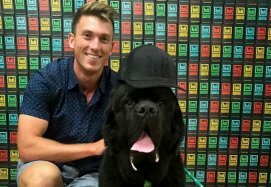 Working for the Maine Venture Fund during his summer internship, Joe Henderson T'18 was able to flex his newly developed skills, as well as make an immediate, tangible impact on the business. Writer Clint Smith has four core principles posted in his high school English class: “Read critically. Write consciously. Speak clearly. Tell your truth.” Over the course of three workshops, my cohort of twenty-five Education Pioneers Fellows internalized this message, embracing vulnerability and engaging in courageous conversations. We read and discussed articles about education, collaborated on group projects, and heard from leaders in the education sector. Read more. In the fourth edition of TuckCast, Alen Amini T’18 sits down with Katelyn Baldwin T'17 to learn more about her global experience at Tuck and her involvement with the Center for Business, Government & Society. 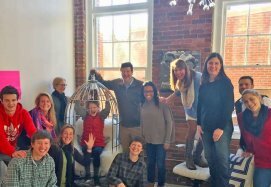 The Net Impact club led an inspiring education trek to Boston. 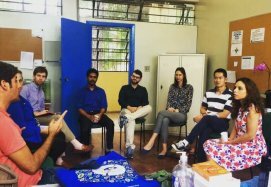 To get multiple perspectives on education, they visited a public school, a charter school, an education technology company, and a nonprofit education organization. 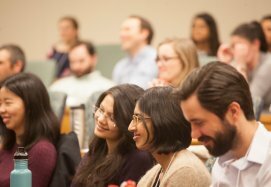 Conferences at Tuck are a gathering place for discussion, ideas, and inspiration—but gathering hundreds of people also produces a tremendous amount of waste. 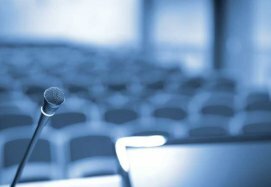 This year, the Business and Society Conference sought to challenge this norm by creating as little waste as possible during the two-day event. 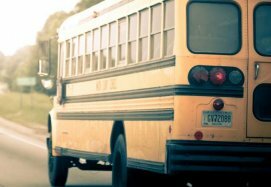 Last month, the Tuck Social Venture Fund (TSVF) made its first investment since its inception more than a year ago: a $25,000 convertible note in Education Modified (“EdModo”), a Boston-based start-up in the education technology space. 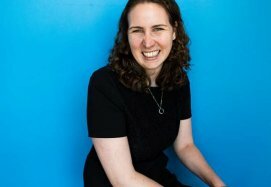 The company, which helps teachers in improve the learning outcomes for students with special needs in their classrooms, addresses an underserved community with a differentiated product based on strong research. Read more. 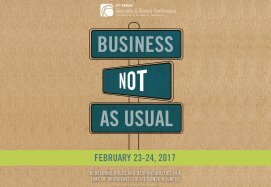 Listen to the closing keynote address from the 2017 Tuck Business & Society Conference by Vincent Stanley, one of Patagonia’s founding employees. Read more. 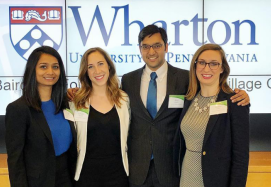 "Change takes time when you are a $480 billion firm, but as sustainable practices become more and more critical to firm success, Wal-Mart has lofty and important goals to achieve," Annabel de Braganca T’18 recounts her experience at the Business and Society Conference. Positive Tracks board members, leadership, and volunteers, including youth representatives and other community members, engage in a recent design thinking exercise led by Professor Steve Kahl of Tuck at the Positive Tracks headquarters in Hanover. 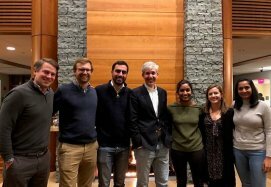 After a visit from executives from the Nature Conservancy, Tuck MBA students consider how they might use their business acumen to preserve the natural world. 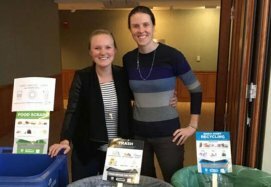 Catherine Boysen T’18 is spearheading an effort to make this year’s Business & Society Conference a “minimal waste conference.” Learn about her goals, why she’s inspired, and the impact she hopes her initiative will have. 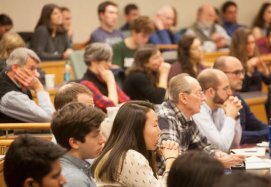 During the week of the presidential inauguration, faculty and policy experts across Tuck and Dartmouth came together to discuss potential policy changes under a Republican White House and Congress. Topics included energy and the environment, health care, immigration, terrorism, education, trade, and more. Nearly 500 people from the Dartmouth and Upper Valley communities attended the panels. We asked a few students, faculty, and staff about their reactions to the event and whether the discussions had an impact on them personally. Justen Nestico T'17 describes why Tuck's location makes a difference, "...one of the reasons that I wanted to be here during these two particular years—is its location at the heart of one of the most unpredictable elections in American history. 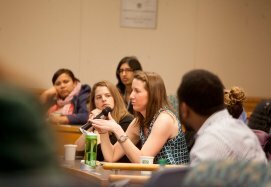 Whether it is presidential candidates coming to campus before New Hampshire’s first-in-the-nation primary, upcoming student-run Q&A panels with Republican Sen. Kelly Ayotte and Democratic Gov. Maggie Hassan (candidates in one of the most competitive races in the country, the winner of which may determine the balance-of-power within the U.S. Senate), or the opportunity to work with former New Hampshire governor and current CBG&S Senior Fellow John Lynch, Tuck students get a first-hand look into the political process that wouldn’t be possible at any other business school." Written by Danielle Musa T’17, a fellow with the Center for Business, Government & Society, "When you think of a powerful brand like Keurig, it’s easy to forget the company is less than 25 years old. How does a company grow from an idea, to a viable venture, to a private company valued at $14 billion? Case studies are a great way to learn about the pitfalls and opportunities along this path. 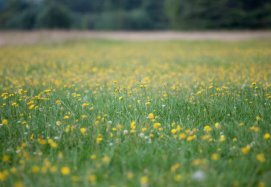 An even more powerful learning experience is intimate discussions with the leaders of the journey." Natalie Cira T'17 describes her Tuck GIVES funded internship experience with the Maine Venture Fund, "I went into the summer wanting to learn as much as I could about the venture capital space and the startup world, and my experience at the Maine Venture Fund (MVF), with the support of funding from Tuck GIVES, has provided me with that opportunity and much more. 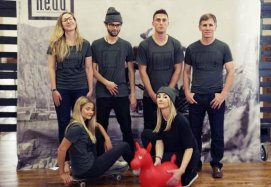 The Maine Venture Fund is a professionally managed venture capital fund that invests exclusively in Maine companies that demonstrate a potential for high growth and public benefit." Tom Allin T'17, a Business & Society Fellow, reflects on a talk by Brian Gallagher, CEO of United Way Worldwide, and how society can influence institutional change, "As it stands today, there doesn’t seem to be an abundance of new institutions that are best reacting to our rapidly changing world––and only slightly more old institutions that are. Going forward, it will be interesting to observe not only which institutions—like the United Way—step into the void left by a changing world, but also which ones will do it well." 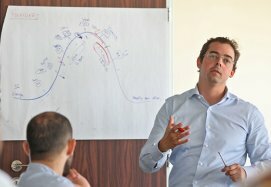 "This summer has exposed me to one of the boldest entrepreneurial initiatives in Palestine at the intersection of strategy and social impact," says Raphael Bonacci T'15. 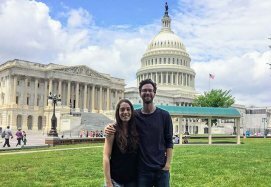 See past blogs from students who pursued internships with the support of Tuck GIVES or participated in other social impact and center-related activities.